Now thru May 11 available dates are 20% OFF!!! Better Book SOON! Welcome to Unit 711 at the Lighthouse Condominium in beautiful Gulf Shores, Alabama. This is a TRUE two bedroom with an additional bunkbed room. 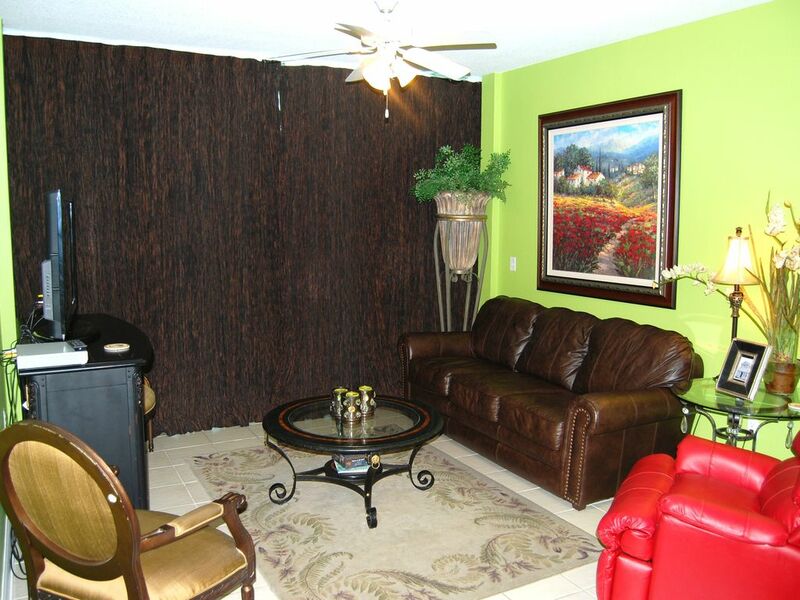 Unit 711 has been professionally decorated and we're sure you will find the accommodations to be first class! This unit is conveniently located just off the center elevators on the 7th floor for easy access. Once you arrive you will enjoy 4 flat screen TV's (all with DVD players attached) and complimentary high speed wireless internet. Our unit also has granite counter tops throughout, all ceramic tile floors and a fully stocked kitchen. (including an electric grill, toaster, blender, coffee maker and more) There are THREE giant pools to accommodate you. Two outdoor pools (one is 'Zero Entry') and a very nice indoor heated pool. Once you decide to hit the sand it's only a short boardwalk away or just relax and enjoy the breathtaking view from the balcony. (Keep an eye out for dolphins & rays). The Lighthouse is one of the newest and nicest condominiums in Gulf Shores with lots of other amenities that include: two hot tubs, exercise room, sauna and a grilling area. It is conveniently located close to many restaurants, shopping centers, kid activities and even a Wal-Mart! Sea & Suds, The Hangout and Hooters are all just a short walk down the beach or road! Your visit to 711 will be the vacation of a lifetime! We hope you will choose to stay at our home away from home!! If your dates are not available on the calendar please see below for all my other units for rent. Keywords: TWO BEDROOMS WITH A SEPERATE BUNK BED ROOM. TWO FULL BATHS, Direct beach front condo, Discounts for weekly stays. Hi there! My name is Leslie Ouellette and my husband is Todd. We live in Muscle Shoals, Al. We love the beach and have been going to Gulf Shores for 25 years! We decided to purchase our own unit in 2006 and now we own 5! I do manage the properties myself, no rental companies involved, and I love it. Please contact me to make your beach reservations! The Lighthouse is absolutlely GREAT! So many ameneties and such a great location. It is close to restaraunts, shopping and everthing else! This complex has three pools! One is zero entry and there is a heated indoor pool. Also, two hot tubs. There is an exercise room with sauna. Grilling area and a Tiki bar at the pool during peak season. Master has double sinks and whirlpool tub with seperate shower. Good time, we will be back. The property was clean and well taken care of. We will definitely be staying again in this unit! It is a great location and very well kept! We loved it! Great for families. Very nice condo! Wonderful views!! Location was great and owner was super friendly! Had an amazing time here. Had all the amenities we needed. We were even able to do some wash while there and cook a few meals. It was so relaxing to have my favorite coffee on the large balcony watching and listening to the waves. The view was exceptional! Beautiful beaches with many restaurants and shops within walking distance. My son especially loved the hot tub and pools. We definitely plan to come back! Owner was very friendly and responsive. We spent a quick weekend here, our first visit to Gulf Shores. Lovely condo and location. Thank you! We enjoyed our stay at this comfortable condo! Although we endured a tropical storm while there, it was a relaxing time. The condo had nice furnishing and was stocked with many amenities just like home. The owner provides a cooler, umbrellas, beach chairs and beach toys that you don't have to bring on your trip. We were limited on car space and it was great not to have to bring those along. The Lighthouse is a very convenient location to shops and restaurants. This is one of our favorite places to stay! So glad to know you enjoyed your stay in Unit 711! I look forward to having you back on your future visits to Gulf Shores. Repeat renters do get a 10% discount! This is our second time in this unit and wow, what a great condo. Wonderful amenities, comfortable beds, and plenty of room for the entire family. Condo is up to date with extras many other owners don't offer (beach chairs, beach buggy, coolers, beach umbrella, boogie boards, and beach toys). Everything you need to eat in and plenty of options to eat out. Having two outdoor and one indoor pool plus two hot tubs allows room for everyone. Owners are great to work with. Thanks for a great stay.